This recipe came about because of a desire to bake with vegetables. Everybody knows baked goods made with vegetables are 100% healthy and nutritious, right? 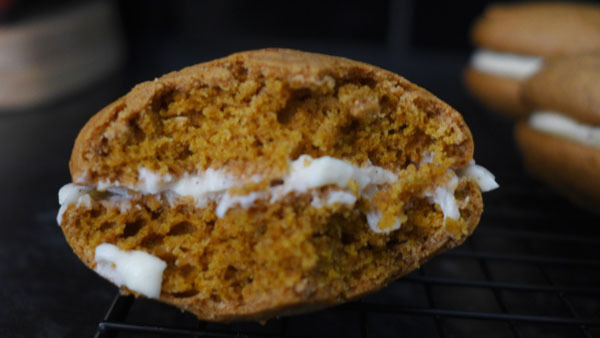 The “almost” pumpkin title comes from the fact that these whoopie pies are made with the pumpkin’s younger, more beautiful, more delicious sister – the butternut squash. Us Brits can sometimes play it safe and only tend to bake with carrots, but never other vegetables like our daring friends in the States. I want to convince you all, and myself, that delicious sweet treats can be made from vegetables such as beetroot, courgettes (zucchini to those on the other side of the pond) and pumpkin to name a few. 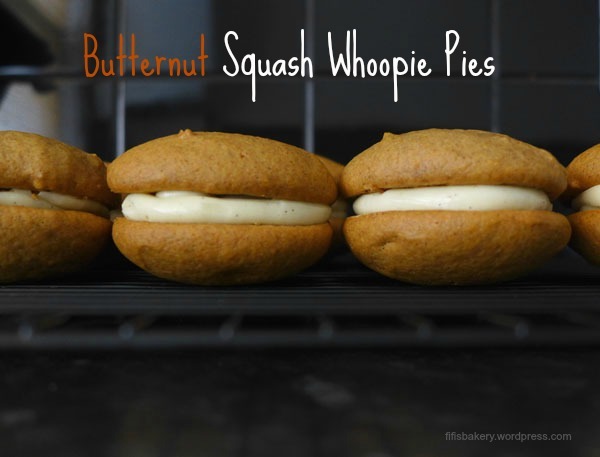 So in continuing with the American theme of baking with veggies – what is more American than whoopie pies??? Well…lots of things, but just go with me on this! If you aren’t keen on the fruits of the gourd family, fear not, the taste of butternut squash isn’t overwhelming in this recipe. The squash adds a lovely moistness and is complemented by the flavours of cinnamon, nutmeg and muscavado sugar. This whoopie pie has a more cakey than cookie texture, and the cool vanilla bean buttercream sandwiched in between balances out the spiced flavours perfectly. I adapted this whoopie pie recipe from one I found on a few US blogs, and converted the measurements from cups to grams (I know, you’re welcome). 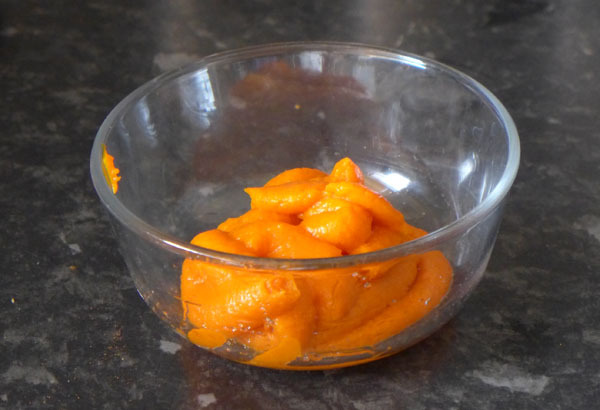 You will need 110g of pureed butternut squash. I got 450g of puree from a squash weighing around 950g. I have heard that Waitrose and Tesco sell tins of Libby’s canned pumpkin puree, which isn’t actually made with pumpkin, but is in fact made with squash! If you’re able to find Libby’s in your local supermarket, please let me know in the comments below! 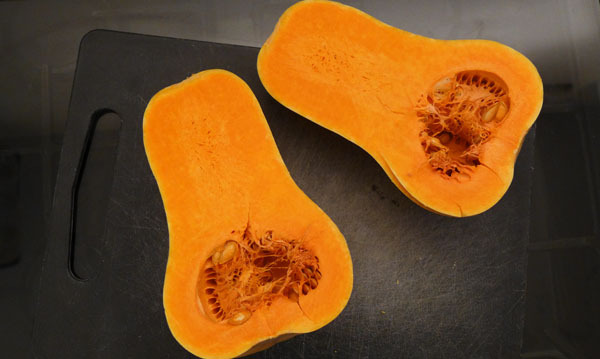 If you’d like to puree your own squash, and it is extremely easy, then click here for a really easy “how to” guide. I don’t own a large enough food processor, so just used a handheld immersion blender, which worked beautifully. You can freeze your leftover puree in ziploc batches of 220g (that’s one American cup) – they’ll keep for up to 3 months before they have to be thrown. 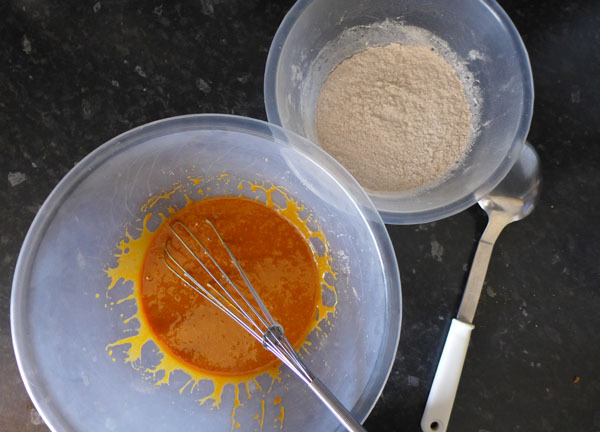 Pour the wet mixture into the flour mixture and stir until incorporated, with no traces of flour visible. The batter will be soft, but not runny. 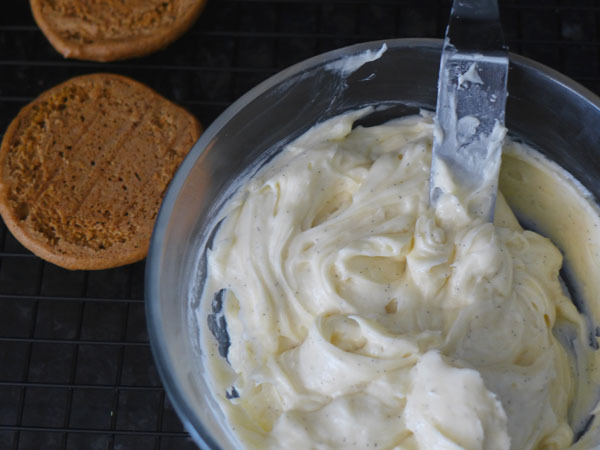 Use a piping bag or a spoon to distribute the buttercream between each whoopie pie and sandwich together. 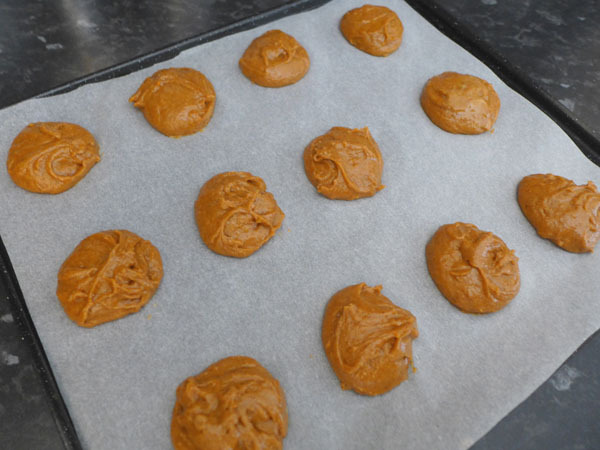 The whoopie pies can be eaten immediately or (if they last that long) can be stored in an airtight container for 3 days.